I'm always trying to make my room feel totally 'me' and make it look as Pinterest-worthy as possible. 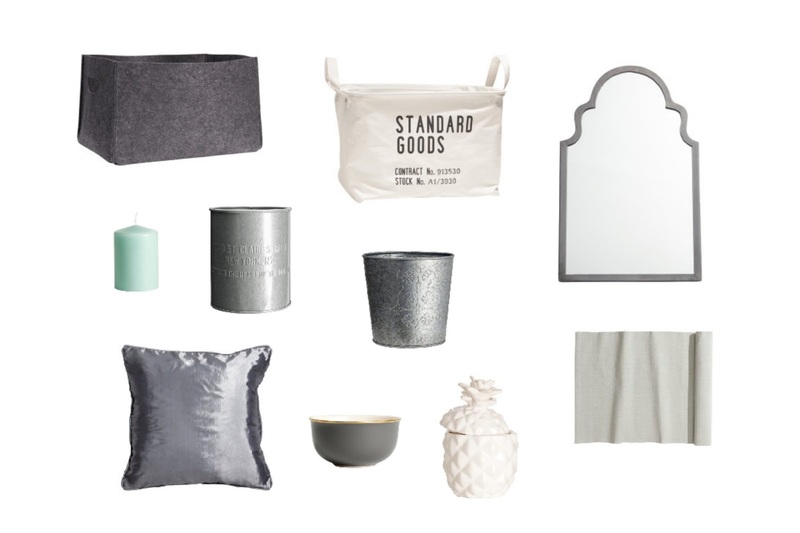 I've been a fan of H&M home for soo long and I'm forever making mental wishlists of what I like. So, I thought I'd actually make one for you guys to see! Felt Storage Basket £9.99 / Storage Basket £7.99 - I recently got a new desk in my room and at the moment I can't deal with how cluttered the shelves are looking. Both these storage baskets are gorgeous and totally work with my minimalist style - I'd love to invest in these beauties! Mirror £19.99 - Now, this is totally not essential, I just think it's very pretty ahaha. This mirror would look great on my desk for me to do my make up in! Small Pillar Candle £1.50 - I love the colour of this candle - it would help add a little bit of something to my room without being 'overly colourful'. Metal Pots £7.99 - I'm always wanting to add pretty plants to my room and I think this plant pots are so gorgeous for them! I'd even use these to hold my make up brushes too! Glossy Cushion Cover £2.99 - The cushions covers in my bedroom are starting to look a little worn out... This cover would help to make at least one of them look alive again. Small Porcelain Bowl £4.99 - Again, not a necessity... just pretty! Pineapple Candle £4.99 - Oh em geeeee. I have wanted a pineapple ornament of some sort for way too long now. Despite this being a candle, I'd love to just have this sitting on my desk looking pretty! Cotton Rug £14.99 - I'm currently having a strong hatred towards my bedroom floor. The colour just doesn't go with my vibe and It just isn't pretty enough for blog photos! I'm saving up to get some new flooring - white oak I'm thinking - but until then a rug would do just fine..
H&M Home have such lovely pieces. I am always perusing their site for inspo myself.